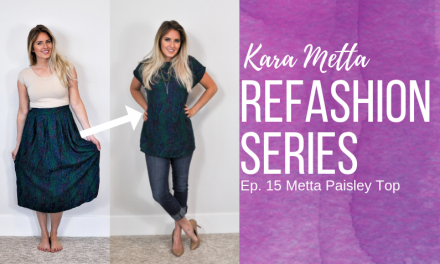 Special thanks to JOANN Fabrics for partnering with me on this post. While I was compensated to share on my social media channels, I was not compensated to post this on my blog. I just thought it was pretty fun and wanted to share it with you! That was my son’s response to this costume. I was dying with laughter. 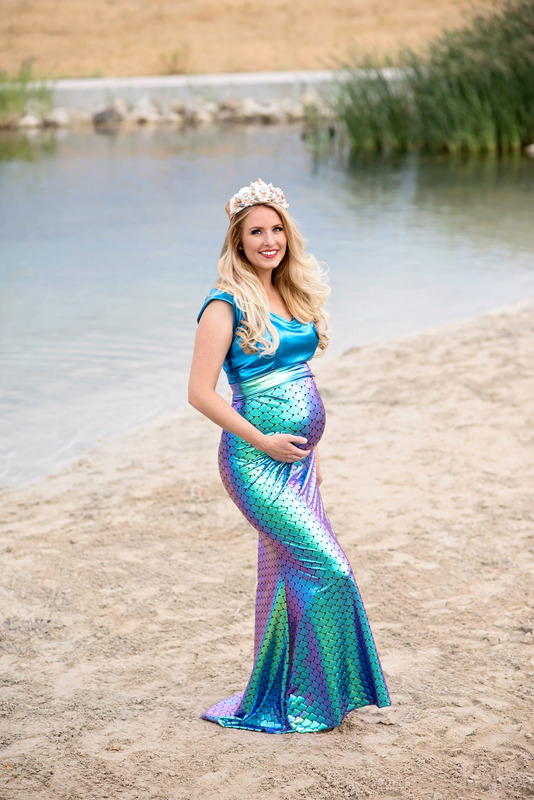 Pregnant mermaids might not really be a thing, but I sure had fun making this ensemble! I was inspired by the sweet new fabrics that JOANN Stores are currently carrying under their YaYa Han Collection. 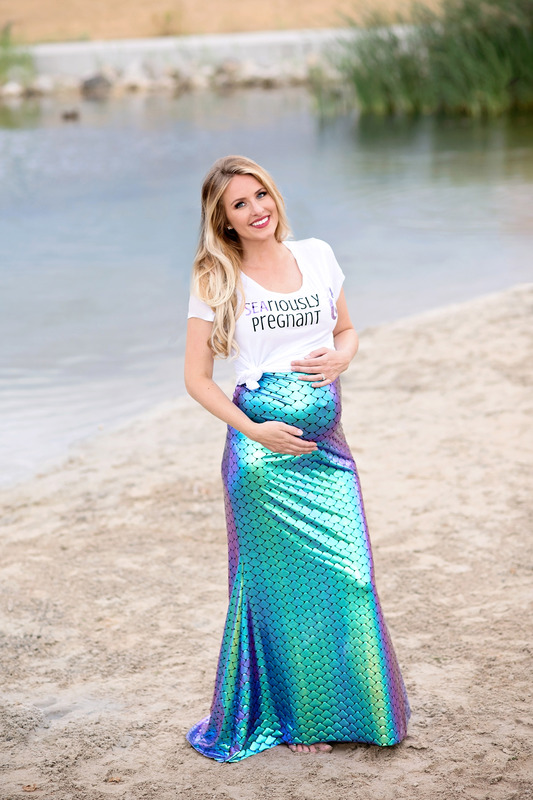 I also liked the challenge of making the whole pregnant-mermaid thing work. People thought I was crazy, and I kind of was, but the end turned out pretty fun in my opinion. 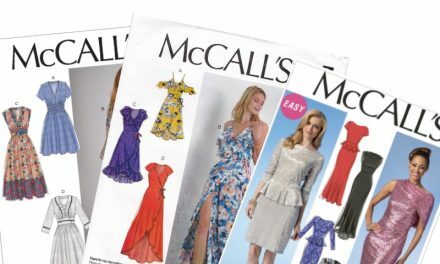 I used the this pattern for the skirt, and this one for the top. 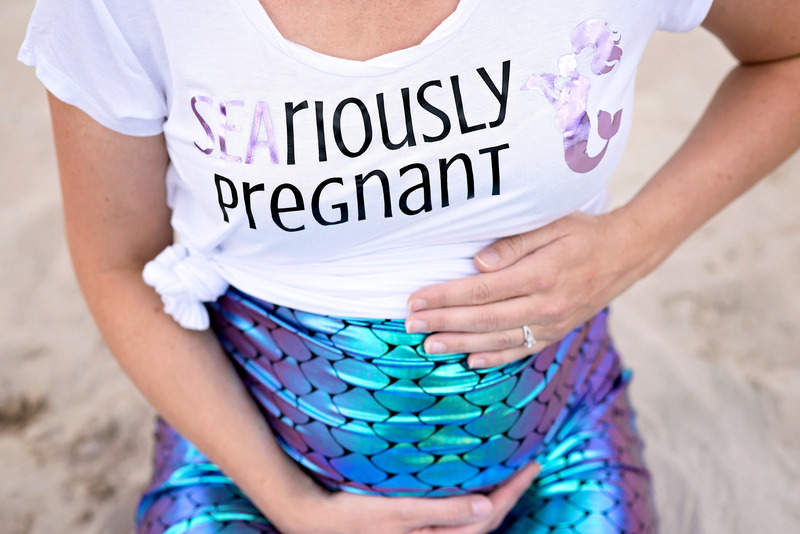 I made a few alterations to accommodate my pregnant belly, but the stretch factor of the fabric made this relatively easy. 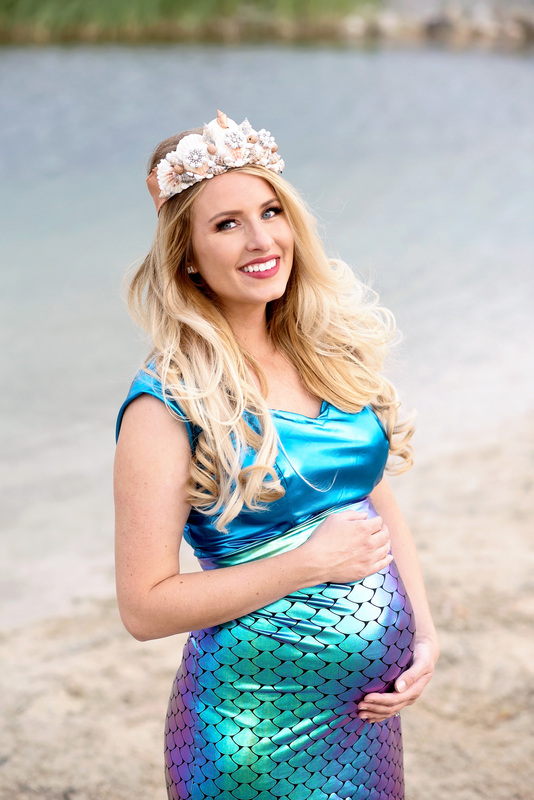 I also picked up some shells and knick-knacks while I was there to make a mermaid crown to complete the look (tutorial to come). 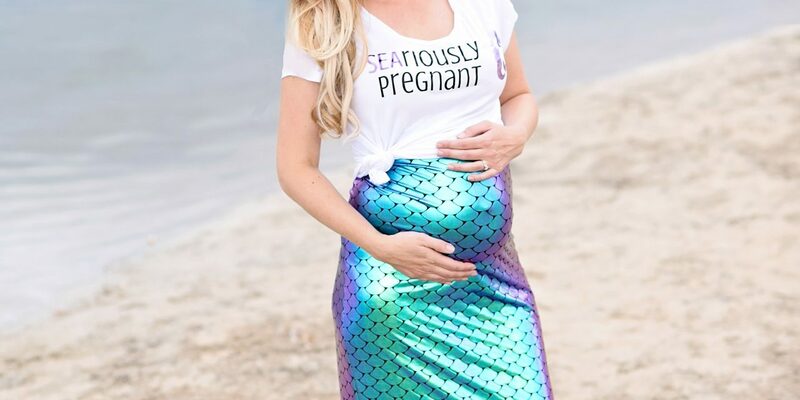 For more casual Halloween events, I made a t-shirt using my Cricut machine to cut out the phrase “SEAriously Pregnant” next to an image of a pregnant mermaid. I designed it using Canva, which is a free online design tool. You can get all the cricut supplies I used from JOANN as well—they’ve got ya covered. Overall, I’m pretty excited about how this turned out, but mostly just relieved that it will continue to stretch as I do in the upcoming months. Halloween is going to be pretty fun this year. NextDo I look pregnant from the side?